To confirm vertical and horizontal 45degree., To confirm vertical and horizontal 45degree., To confirm vertical and horizontal 45degree., To confirm vertical and horizontal 45degree. 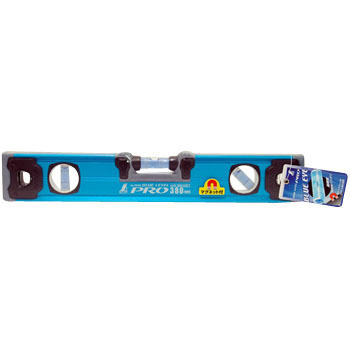 Magnetic Torpedo Level, "Blue Level Jr"
This review is about item#09384907. I have a color that is easy to see. It is made strong but I care a little weight. This review is about item#9384916. I used it before. Very easy to see and useful. This review is about item#9384925. Anyway bubbles are easy to see. Convenient for steel frame as it has a magnet. There is a sense of quality. Price is high. This review is about item#9384934. Installation of distribution board etc. It is good to see bubbles. It does not have to be misaligned if the base is metal. I liked this blue level and I finally got it aligned with the big mind. The magnet is strong and it is a GOOD item. It is easier to see than anything else. This review is about item#09384934. Installation of built-in furniture etc. It is more decky than I thought ... but it is easy to understand. I think that COSPA is good for quality and design. Oh, but it seems that it may be insufficient for the main job to use. This review is about item#09384916. Magnetic Torpedo Level, "Handy Level-2"
Double End Hammer, "Golden Zojirushi"